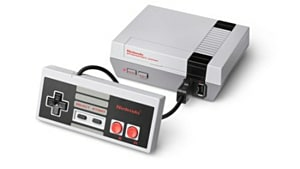 I always found it bizarre that in spite of the large volume of nostalgic software available in the modern climate of gaming, there seems to be this decadence of one particular influence from the past that isn’t celebrated nearly as much as the 16-bit and 8-bit era of video games. 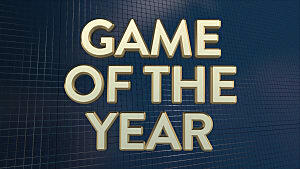 I’m talking about the collect-till-you-die 3D platformer -- where’s all the love gone for these age-old scavenger hunts? 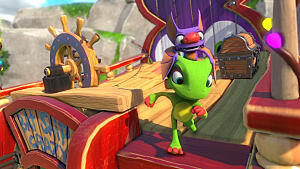 Maybe that’s why I’m unreasonably excited for Playtonic’s upcoming title Yooka-Laylee, a love letter to Rare’s golden age of free-roaming character action games where chasing down a grocery list of various doo-dads across a dozen vibrant landscapes was more than fun, it was enchanting. 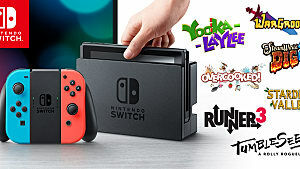 Admittedly, though, as I mentioned before a lot of the excitement has to do with the fact that there aren’t a whole lot of choices aside from Yooka-Laylee to tide me over until then. 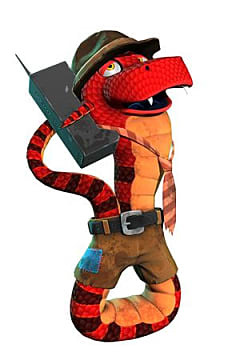 Well, that’s until I stumbled across Sumo Digital’s Snake Pass that is. The resemblance between the Snake and Hummingbird and the Chameleon and Bat isn’t immediately apparent, but the biggest parallel they share between each other is the excitement of exploration. 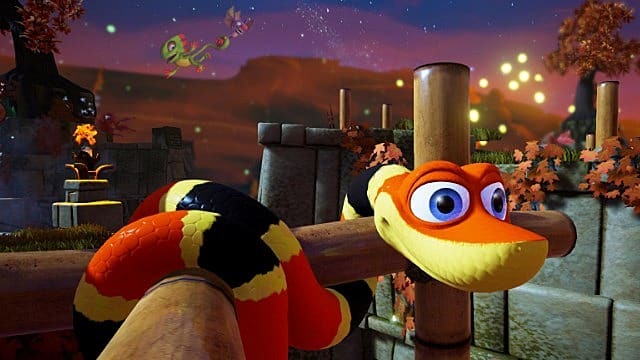 Slithering left and right gradually becomes more intuitive the more you familiarize yourself with the terrain of Snake Pass’s level design; every bamboo pole, funnel, and twisty alcove is a beacon of context to Noodle’s abilities in the same manner that Laylee’s Sonic sonar blast resonates with noise-receptive levers and so forth. 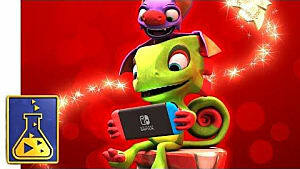 Granted, whatever skillset depth Snake Pass lacks in comparison to Yooka-Laylee, it more than makes up for it in the complexity of the platforming physics that you’ll need to master to handily complete the game’s daunting fetch quests. 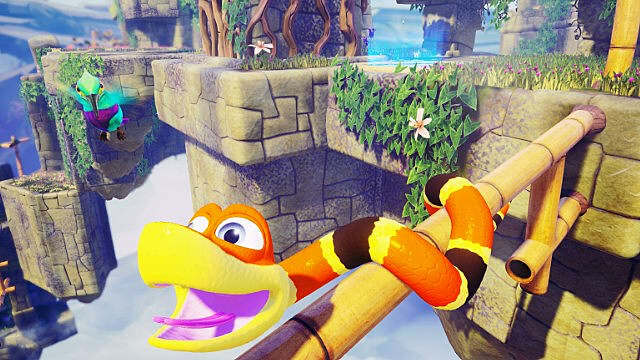 Much like the way Valve’s Portal series made you think with portals, Snake Pass will push your actions to reflect that of the titular invertebrate reptile—moving left and right in rhythm with another to pick speed, as you wrap and coil through the nooks and crannies of each stage. There was one other huge similarity that these two titles share that will really get your chest pumping, and that’s the oh so sweet ear candy that is their soundtracks, both containing composition by the legendary David Wise of Rare fame. 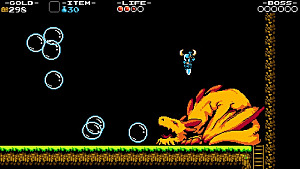 The first world’s track is jubilant and playful, evoking the same kind of pleasant vibe that you get from the bright visuals of Snake Pass, followed by a more intimate, supine melody in the second world that still has this effervescence within its tune much like David’s most arguably famous piece of work, “Aquatic Ambience” from Donkey Kong Country. 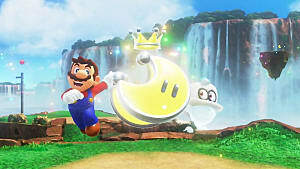 It doesn’t take long for Sumo Digital’s Mascot adventure to arouse the same harmonic sensations that we all got out of Rare’s Nintendo 64 catalog, effectively filling a void that we never really knew we had since those years have gone and passed. 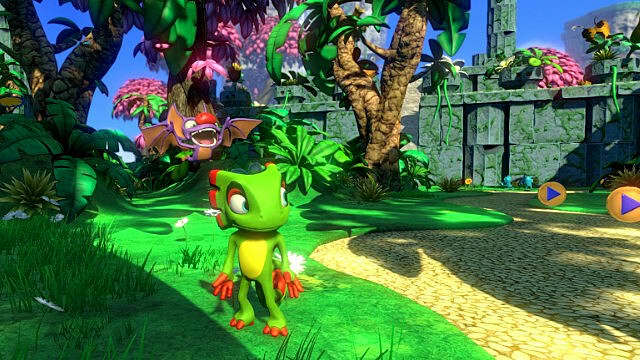 Playtonic’s tribute to Banjo-Kazooie isn’t set to release until 11 April 2017 , and while that’s just under three weeks, the wait feels like an eternity to everyone who’s been looking forward to this Collectathon renaissance—which is why Snake Pass is an excellent surrogate to tide you over until that date finally ends up rolling around. 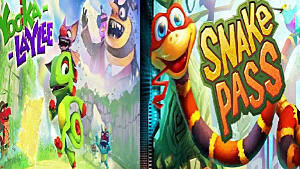 Games Snake PassYooka-Laylee Genres AdventureIndieKidsPlatformerPuzzle	Platforms PCPlaystation 4Xbox OneNintendo Switch	Tags david wise rare ltd.